Touchfire attaches to your tablet magnetically and rolls with its cover when not in use. 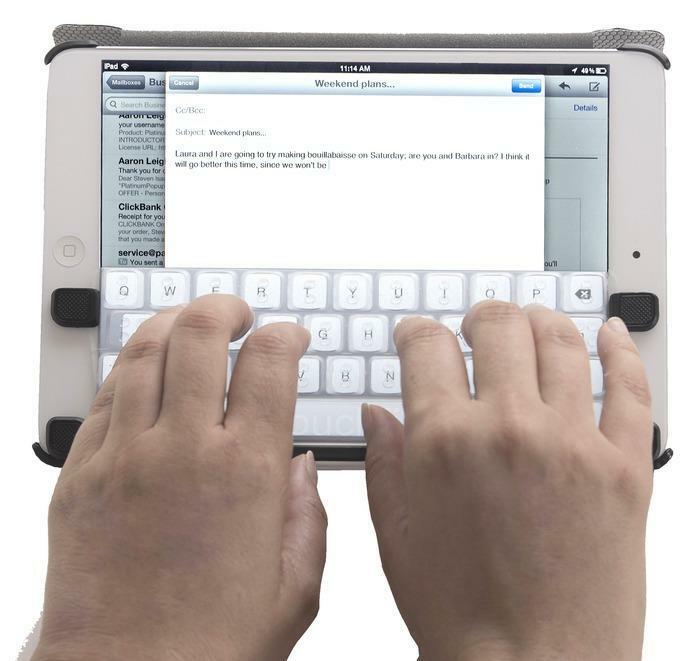 The makers have designed the iPad mini version of this keyboard without making a deal-breaking compromise. You also get Touchfire iPad cases for your tablet. This exciting project is currently seeking funding on Kickstarter. This looks like a neat keyboard for anyone who just can’t type as fast on iPad’s digital keyboard.